The Keswick hotels listed below are either in the town or we have given a rough guide as to how far they are from Keswick. We hope you enjoy your stay and find your ideal accommodation. Station: PENRITH. 21kilometres. Leave M6 Junction 40 from North or South - join the A66 to Keswick, follow signs for Borrowdale along the B5289. Station: PENRITH. 20miles. From the south, leave the M6 at Jct 36 and take the A590 north-west for Kendal. Continue ahead along the A590, then at the next roundabout continue ahead along the A591 for Windermere. From the North, leave the M6 at Jct 40 and take the A66 for Keswicke. 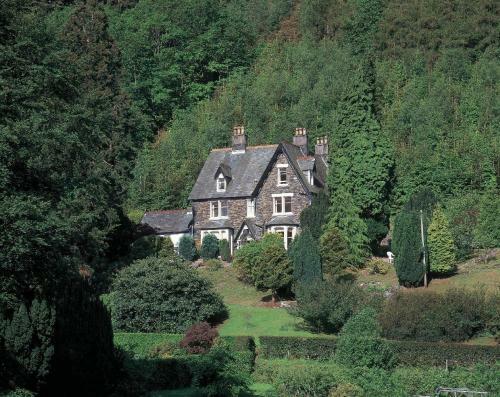 Overlooking the Lake District's Derwent Valley, Thwaite Howe is located in the secluded Thornthwaite Forest. It offers beautifully decorated rooms with countryside views, free Wi-Fi and delicious Cumbrian breakfasts. In the Lake District National Park, Queens Hotel has a central location by Keswick's market square. The hotel offers good food, traditional rooms and free Wi-Fi. This 4-star, 19th-century house offers bright, cosy rooms with excellent views of the Lakeland fells. Situated in the centre of Keswick, it offers hearty, locally sourced breakfasts. Keswick Lodge is located in the market town of Keswick, just 2 miles (3 km) from Derwentwater. This traditional pub offers home-cooked seasonal food, cask ales and cosy en suite accommodation. The Lodge has rooms with power showers, some have baths. Just 3 miles from Keswick, this Georgian luxury hotel is set within lovely gardens at the foot of the Catbells fell. It boasts 2 AA Rosettes for its restaurant's fine cuisine. Room rates include breakfast and dinner. Set in more than 2 acres of mature land, in the heart of Borrowdale, The Edwardian Leathes Head features a bar, a restaurant and as free Wi-Fi throughout. In the centre of Keswick, Skiddaw Hotel offers good food, and spacious rooms with satellite TV and tea/coffee facilities. There is free Wi-Fi, and free parking next to the hotel. In acres of lawns and flower gardens, Keswick Hotel has free parking and is a short walk from the centre of Keswick. The restaurant has garden views and traditional food. Each spacious room has a TV, tea/coffee facilities and biscuits. Highfield has a multi-award-winning restaurant, magnificent lake and mountain views and its own private car park. The beautiful rooms have en suite bathrooms, tea/coffee making facilities and DVD players. On Keswick's main street, 10 minutes' walk from Derwent Water the Kings Arms Hotel offers easy access to the Lake District. The en suite rooms have classic decor and TVs. In the centre of Keswick, the George Hotel is the town's oldest coaching inn. It offers comfortable en suite accommodation and a welcoming bar and a full English breakfast is served every day. On a quiet street just off the A66, Dolly Waggon offers bed and breakfast accommodation in the heart of the Lake District. Minutes from central Keswick, it features free Wi-Fi. Set in 5 acres of woodland gardens, The Mary Mount Hotel is set on the shores of Derwentwater. With countryside views, rooms are en suite. There is also a restaurant. For hotels accommodation in other areas near to Keswick Cumbria see Penrith hotels Workington hotels & Cockermouth hotels.